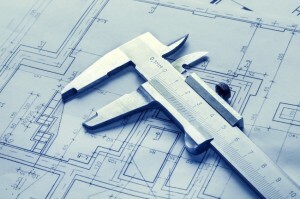 As a specialist consultancy we do not retain the range of skills to offer a full building services design service. However we can undertake reviews of heating and chilled water systems designed by others. This might involve critiquing the design concept i.e. whether the proposed design will deliver the specified performance, and whether it will do so in a way that optimises energy efficiency. Alternatively, we can undertake a more detailed design assessment checking pump and pipe sizes, valve selections, system volumes and expansion vessel capacities. Part L of the Building Regulations encourages designers to select low carbon heat sources such as combined heat and power (CHP), biomass boilers, or gas condensing boilers. Although these products sometimes incur additional installation costs they can significantly reduce the carbon dioxide emissions that contribute to global warming. However, if they are not implemented properly, the carbon savings do not materialise and cost is incurred for no benefit. This is true of many of the systems we are asked to review. We can advise on the application of low carbon heat sources to ensure that their carbon saving potential is optimised. Reducing the speed of heating and chilled water pumps during periods of low demand can significantly reduce pump energy consumption. Furthermore, properly implemented variable flow systems are essential for optimal performance of low carbon heat sources. These all require large temperature differentials between flow and return water low that can only be achieved by varying flow system flow rates. We can check designs to ensure that pump energy is minimised and low carbon heat sources are given optimal operating conditions. The same principles that apply to building heating and chilled water systems also apply to district heating or cooling systems that serve multiple buildings. These types of system are more likely to be separated from the localised heating and hot water circuits they serve by means of one or more plate heat exchangers typically housed in “heat interface units”. Heat interface units are specially designed to transfer heat from distribution systems to localised circuits. Properly selected heat interface units should contain all of the valves required for effective control of heating and hot water output. This sometimes requires carefully scrutiny of different manufacturer’s units. If the system is heating hot water it is essential that some allowance is made for usage diversity since not all hot water outlets will be in use at the same time. It is often difficult to obtain reliable data from which to estimate diversity values. We can check designs for district or community heating systems to ensure that primary and secondary circuit layouts are properly sized and specified. This includes checking heat interface unit selections to ensure they are compatible with the system. We can also estimate coincidence factors applicable to hot water simultaneous demands.